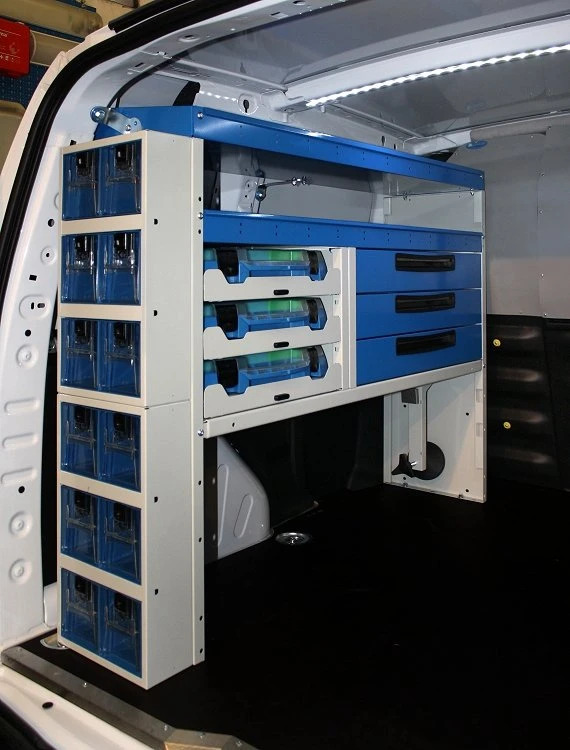 Introducing a new van upfitting innovation from the Syncro team. 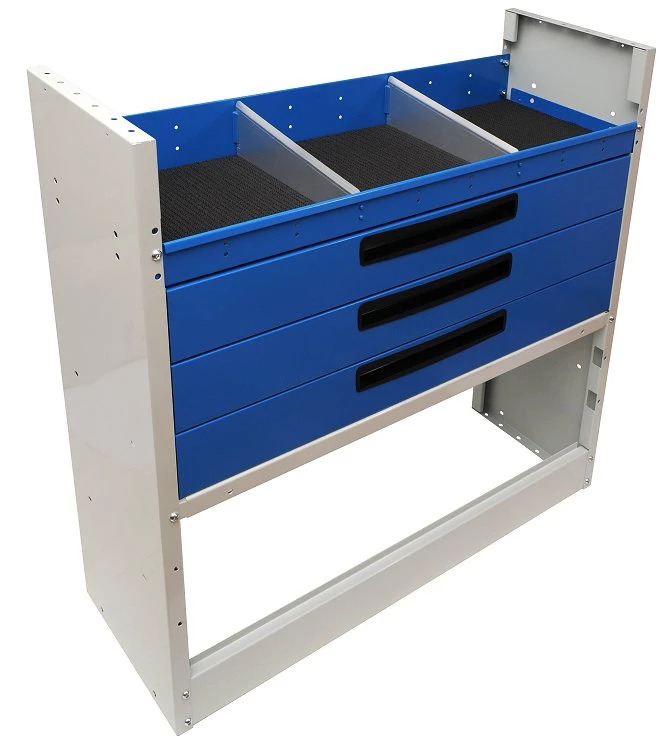 Lighter weight: the hooks for the drawer glides are set into the sides, allowing for an overall weight savings of 10 to 20% compare to similar products. Money-saving: the increased simplicity boils down to economic savings. 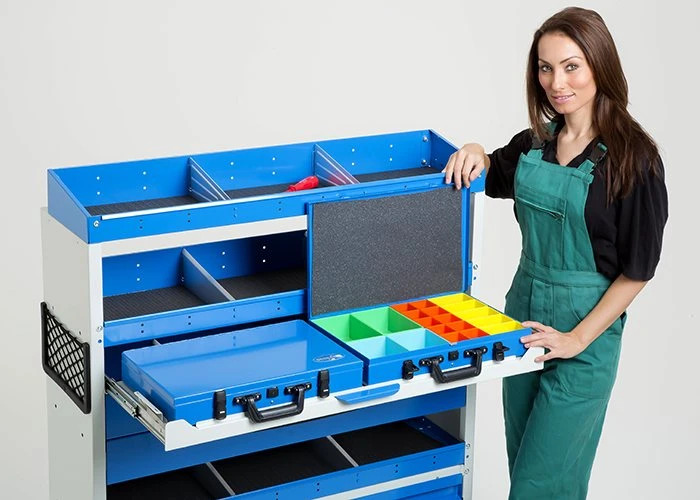 With the advantages the kits bring, you still don't loose any of the guaranteed quality of Syncro product toughness: strength, long-lasting durability, as well as practicality. 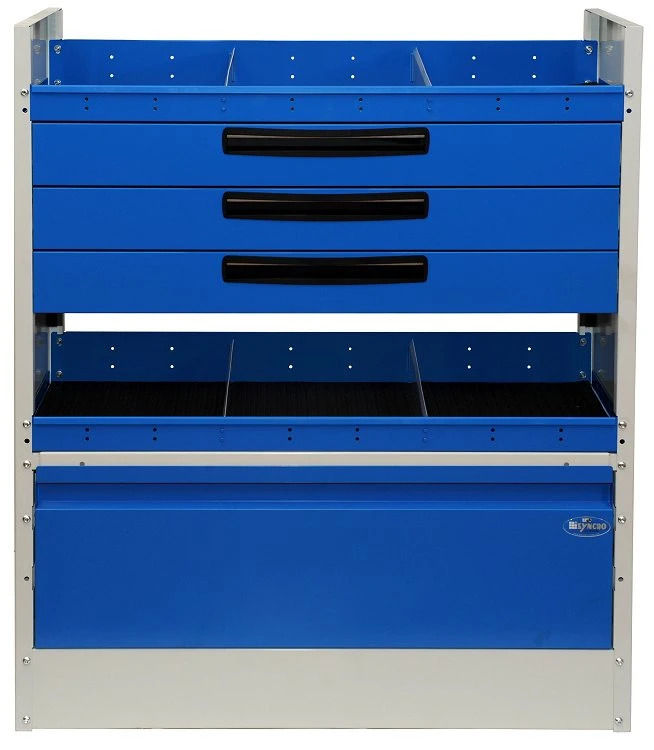 Number of individual units, size and number of drawers. 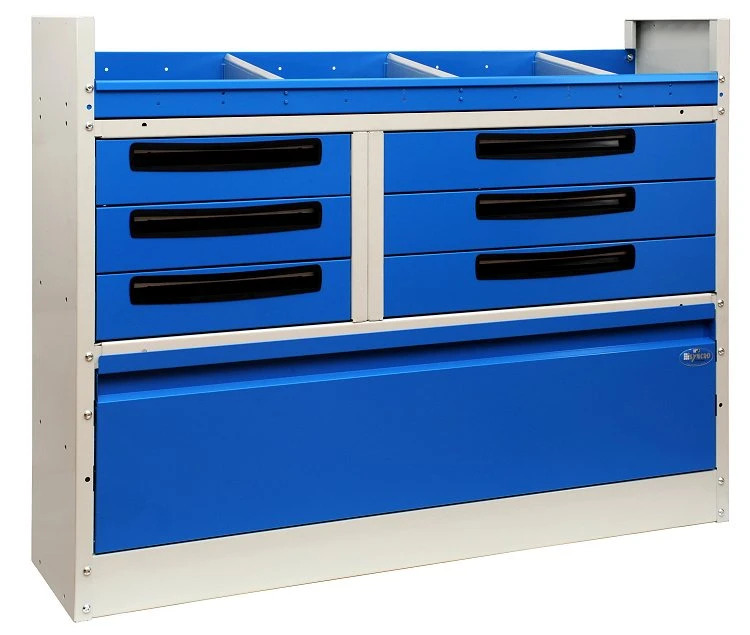 Base frames can be varied by adding front door panels, forward-tilting baseboards or the secure case transport system. SYNCRO UPFITS – EASIER AND LIGHTER THAN EVER! 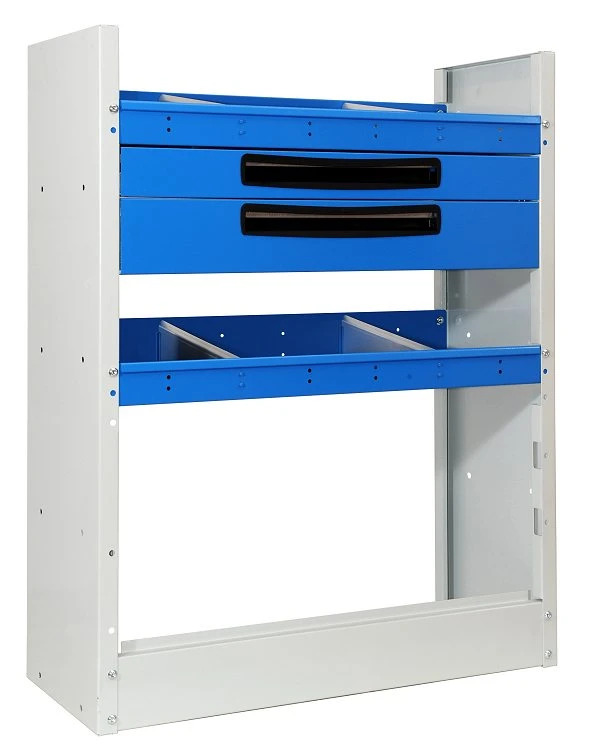 The kits can be assembled horizontally (attaching one to the next) or used with any other Syncro racking system component. 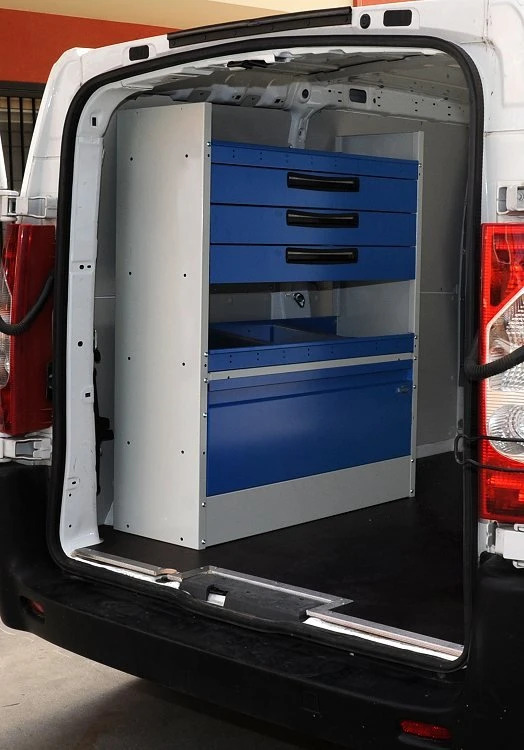 You can mix and match (even stacking pieces) to create the ideal upfit for your van's needs. Don't worry about changing vans – all upfits can be easily varied to fit into your new vehicle. 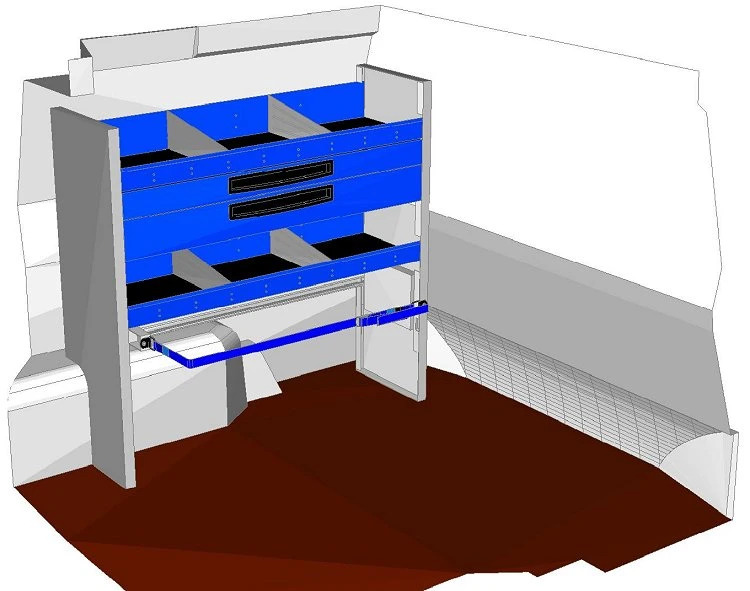 Ask our Syncro System specialists – we know how to find the best solution for your specific needs. Upfits are available and ready to be installed in any one of our Syncro System expert upfit centers. 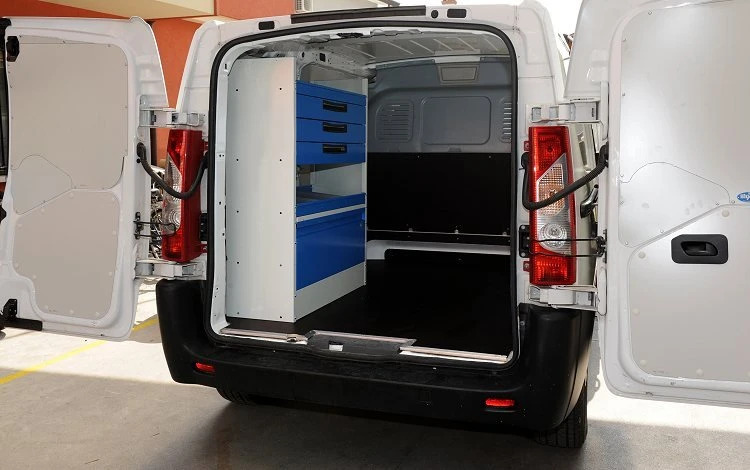 A few examples of kit upfits on the Fiat Scudo and Citroen Berlingo.